In the winter of 1919, and still more in the spring and summer of 1920, the young Party felt bound to take up a definite stand on a question which already had become quite serious during the War. In the first volume of this book I have briefly recorded certain facts which I had personally witnessed and which foreboded the break-up of Germany. In describing these facts I made reference to the special nature of the propaganda which was directed by the English as well as the French towards reopening the breach that had existed between North and South in Germany. In the spring of 1915 there appeared the first of a series of leaflets which was systematically followed up and the aim of which was to arouse feeling against Prussia as being solely responsible for the war. Up to 1916 this system had been developed and perfected in a cunning and shameless manner. Appealing to the basest of human instincts, this propaganda endeavoured to arouse the wrath of the South Germans against the North Germans and after a short time it bore fruit. Persons who were then in high positions under the Government and in the Army, especially those attached to headquarters in the Bavarian Army, merited the just reproof of having blindly neglected their duty and failed to take the necessary steps to counter such propaganda. But nothing was done. On the contrary, in some quarters it did not appear to be quite unwelcome and probably they were short-sighted enough to think that such propaganda might help along the development of unification in Germany but even that it might automatically bring about consolidation of the federative forces. Scarcely ever in history was such a wicked neglect more wickedly avenged. The weakening of Prussia, which they believed would result from this propaganda, affected the whole of Germany. It resulted in hastening the collapse which not only wrecked Germany as a whole but even more particularly the federal states. In that town where the artificially created hatred against Prussia raged most violently the revolt against the reigning House was the beginning of the Revolution. It would be a mistake to think that the enemy propaganda was exclusively responsible for creating an anti-Prussian feeling and that there were no reasons which might excuse the people for having listened to this propaganda. The incredible fashion in which the national economic interests were organized during the War, the absolutely crazy system of centralization which made the whole Reich its ward and exploited the Reich, furnished the principal grounds for the growth of that anti-Prussian feeling. The average citizen looked upon the companies for the placing of war contracts, all of which had their headquarters in Berlin, as identical with Berlin and Berlin itself as identical with Prussia. The average citizen did not know that the organization of these robber companies, which were called War Companies, was not in the hands of Berlin or Prussia and not even in German hands at all. People recognized only the gross irregularities and the continual encroachments of that hated institution in the Metropolis of the Reich and directed their anger towards Berlin and Prussia, all the more because in certain quarters (the Bavarian Government) nothing was done to correct this attitude, but it was even welcomed with silent rubbing of hands. The Jew was far too shrewd not to understand that the infamous campaign which he had organized, under the cloak of War Companies, for plundering the German nation would and must eventually arouse opposition. As long as that opposition did not spring directly at his own throat he had no reason to be afraid. Hence he decided that the best way of forestalling an outbreak on the part of the enraged and desperate masses would be to inflame their wrath and at the same time give it another outlet. Let Bavaria quarrel as much as it liked with Prussia and Prussia with Bavaria. The more, the merrier. This bitter strife between the two states assured peace to the Jew. Thus public attention was completely diverted from the international maggot in the body of the nation; indeed, he seemed to have been forgotten. Then when there came a danger that level-headed people, of whom there are many to be found also in Bavaria, would advise a little more reserve and a more judicious evaluation of things, thus calming the rage against Prussia, all the Jew had to do in Berlin was to stage a new provocation and await results. Every time that was done all those who had profiteered out of the conflict between North and South filled their lungs and again fanned the flame of indignation until it became a blaze. It was a shrewd and expert manoeuvre on the part of the Jew, to set the different branches of the German people quarrelling with one another, so that their attention would be turned away from himself and he could plunder them all the more completely. Until the year 1918, or rather until the November of that year, the average German citizen, particularly the less educated lower middle-class and the workers, did not rightly understand what was happening and did not realize what must be the inevitable consequences, especially for Bavaria, of this internecine strife between the branches of the German people; but at least those sections which called themselves ‘National’ ought to have clearly perceived these consequences on the day that the Revolution broke out. For the moment the coup d’état had succeeded, the leader and organizer of the Revolution in Bavaria put himself forward as the defender of ‘Bavarian’ interests. The international Jew, Kurt Eisner, began to play off Bavaria against Prussia. This Oriental was just about the last person in the world that could be pointed to as the logical defender of Bavarian interests. In his trade as newspaper reporter he had wandered from place to place all over Germany and to him it was a matter of sheer indifference whether Bavaria or any other particular part of God’s whole world continued to exist. In deliberately giving the revolutionary rising in Bavaria the character of an offensive against Prussia, Kurt Eisner was not acting in the slightest degree from the standpoint of Bavarian interests, but merely as the commissioned representative of Jewry. He exploited existing instincts and antipathies in Bavaria as a means which would help to make the dismemberment of Germany all the more easy. When once dismembered, the Reich would fall an easy prey to Bolshevism. The tactics employed by him were continued for a time after his death. The Marxists, who had always derided and exploited the individual German states and their princes, now suddenly appealed, as an ‘Independent Party’ to those sentiments and instincts which had their strongest roots in the families of the reigning princes and the individual states. The fight waged by the Bavarian Soviet Republic against the military contingents that were sent to free Bavaria from its grasp was represented by the Marxist propagandists as first of all the ‘Struggle of the Bavarian Worker’ against ‘Prussian Militarism.’ This explains why it was that the suppression of the Soviet Republic in Munich did not have the same effect there as in the other German districts. Instead of recalling the masses to a sense of reason, it led to increased bitterness and anger against Prussia. The art of the Bolshevik agitators, in representing the suppression of the Bavarian Soviet Republic as a victory of ‘Prussian Militarism’ over the ‘Anti-militarists’ and ‘Anti-Prussian’ people of Bavaria, bore rich fruit. Whereas on the occasion of the elections to the Bavarian Legislative Diet, Kurt Eisner did not have ten thousand followers in Munich and the Communist party less than three thousand, after the fall of the Bavarian Republic the votes given to the two parties together amounted to nearly one hundred thousand. It was then that I personally began to combat that crazy incitement of some branches of the German people against other branches. I believe that never in my life did I undertake a more unpopular task than I did when I took my stand against the anti-Prussian incitement. During the Soviet regime in Munich great public meetings were held at which hatred against the rest of Germany, but particularly against Prussia, was roused up to such a pitch that a North German would have risked his life in attending one of those meetings. These meetings often ended in wild shouts: "Away from Prussia", "Down with the Prussians", "War against Prussia", and so on. This feeling was openly expressed in the Reichstag by a particularly brilliant defender of Bavarian sovereign rights when he said: "Rather die as a Bavarian than rot as a Prussian". One should have attended some of the meetings held at that time in order to understand what it meant for one when, for the first time and surrounded by only a handful of friends, I raised my voice against this folly at a meeting held in the Munich Löwenbräu Keller. Some of my War comrades stood by me then. And it is easy to imagine how we felt when that raging crowd, which had lost all control of its reason, roared at us and threatened to kill us. During the time that we were fighting for the country the same crowd were for the most part safely ensconced in the rear positions or were peacefully circulating at home as deserters and shirkers. It is true that that scene turned out to be of advantage to me. My small band of comrades felt for the first time absolutely united with me and readily swore to stick by me through life and death. These conflicts, which were constantly repeated in 1919, seemed to become more violent soon after the beginning of 1920. There were meetings – I remember especially one in the Wagner Hall in the Sonnenstrasse in Munich – during the course of which my group, now grown much larger, had to defend themselves against assaults of the most violent character. It happened more than once that dozens of my followers were mishandled, thrown to the floor and stamped upon by the attackers and were finally thrown out of the hall more dead than alive. The struggle which I had undertaken, first by myself alone and afterwards with the support of my war comrades, was now continued by the young movement, I might say almost as a sacred mission. I am proud of being able to say to-day that we – depending almost exclusively on our followers in Bavaria – were responsible for putting an end, slowly but surely, to the coalition of folly and treason. I say folly and treason because, although convinced that the masses who joined in it meant well but were stupid, I cannot attribute such simplicity as an extenuating circumstance in the case of the organizers and their abetters. I then looked upon them,and still look upon them to-day, as traitors in the payment of France. In one case, that of Dorten, history has already pronounced its judgment. The situation became specially dangerous at that time by reason of the fact that they were very astute in their ability to cloak their real tendencies, by insisting primarily on their federative intentions and claiming that those were the sole motives of the agitation. Of course it is quite obvious that the agitation against Prussia had nothing to do with federalism. Surely ‘Federal Activities’ is not the phrase with which to describe an effort to dissolve and dismember another federal state. For an honest federalist, for whom the formula used by Bismarck to define his idea of the Reich is not a counterfeit phrase, could not in the same breath express the desire to cut off portions of the Prussian State, which was created or at least completed by Bismarck. Nor could he publicly support such a separatist attempt. What an outcry would be raised in Munich if some prussian conservative party declared itself in favour of detaching Franconia from Bavaria or took public action in demanding and promoting such a separatist policy. Nevertheless, one can only have sympathy for all those real and honest federalists who did not see through this infamous swindle, for they were its principal victims. By distorting the federalist idea in such a way its own champions prepared its grave. One cannot make propaganda for a federalist configuration of the Reich by debasing and abusing and besmirching the essential element of such a political structure, namely Prussia, and thus making such a Confederation impossible, if it ever had been possible. It is all the more incredible by reason of the fact that the fight carried on by those so-called federalists was directed against that section of the Prussian people which was the last that could be looked upon as connected with the November democracy. For the abuse and attacks of these so-called federalists were not levelled against the fathers of the Weimar Constitution – the majority of whom were South Germans or Jews – but against those who represented the old conservative Prussia, which was the antipodes of the Weimar Constitution. The fact that the directors of this campaign were careful not to touch the Jews is not to be wondered at and perhaps gives the key to the whole riddle. Before the Revolution the Jew was successful in distracting attention from himself and his War Companies by inciting the masses, and especially the Bavarians, against Prussia. Similarly he felt obliged, after the Revolution, to find some way of camouflaging his new plunder campaign which was nine or ten times greater. And again he succeeded, in this case by provoking the so-called ‘national’ elements against one another: the conservative Bavarians against the Prussians, who were just as conservative. He acted again with extreme cunning, inasmuch as he who held the reins of Prussia’s destiny in his hands provoked such crude and tactless aggressions that again and again they set the blood boiling in those who were being continually duped. Never against the Jew, however, but always the German against his own brother. The Bavarian did not see the Berlin of four million industrious and efficient working people, but only the lazy and decadent Berlin which is to be found in the worst quarters of the West End. And his antipathy was not directed against this West End of Berlin but against the ‘Prussian’ city. In many cases it tempted one to despair. The ability which the Jew has displayed in turning public attention away from himself and giving it another direction may be studied also in what is happening to-day. In 1918 there was nothing like an organized anti-Semitic feeling. I still remember the difficulties we encountered the moment we mentioned the Jew. We were either confronted with dumb-struck faces or else a lively and hefty antagonism. The efforts we made at the time to point out the real enemy to the public seemed to be doomed to failure. But then things began to change for the better, though only very slowly. The ‘League for Defence and Offence’ was defectively organized but at least it had the great merit of opening up the Jewish question once again. In the winter of 1918–1919 a kind of anti-semitism began slowly to take root. Later on the National Socialist Movement presented the Jewish problem in a new light. Taking the question beyond the restricted circles of the upper classes and small bourgeoisie we succeeded in transforming it into the driving motive of a great popular movement. But the moment we were successful in placing this problem before the German people in the light of an idea that would unite them in one struggle the Jew reacted. He resorted to his old tactics. With amazing alacrity he hurled the torch of discord into the patriotic movement and opened a rift there. In bringing forward the ultramontane question and in the mutual quarrels that it gave rise to between Catholicism and Protestantism lay the sole possibility, as conditions then were, of occupying public attention with other problems and thus ward off the attack which had been concentrated against Jewry. The men who dragged our people into this controversy can never make amends for the crime they then committed against the nation. Anyhow, the Jew has attained the ends he desired. Catholics and Protestants are fighting with one another to their hearts’ content, while the enemy of Aryan humanity and all Christendom is laughing up his sleeve. Once it was possible to occupy the attention of the public for several years with the struggle between federalism and unification, wearing out their energies in this mutual friction while the Jew trafficked in the freedom of the nation and sold our country to the masters of international high finance. So in our day he has succeeded again, this time by raising ructions between the two German religious denominations while the foundations on which both rest are being eaten away and destroyed through the poison injected by the international and cosmopolitan Jew. Look at the ravages from which our people are suffering daily as a result of being contaminated with Jewish blood. Bear in mind the fact that this poisonous contamination can be eliminated from the national body only after centuries, or perhaps never. Think further of how the process of racial decomposition is debasing and in some cases even destroying the fundamental Aryan qualities of our German people, so that our cultural creativeness as a nation is gradually becoming impotent and we are running the danger, at least in our great cities, of falling to the level where Southern Italy is to-day. This pestilential adulteration of the blood, of which hundreds of thousands of our people take no account, is being systematically practised by the Jew to-day. Systematically these negroid parasites in our national body corrupt our innocent fair-haired girls and thus destroy something which can no longer be replaced in this world. The two Christian denominations look on with indifference at the profanation and destruction of a noble and unique creature who was given to the world as a gift of God’s grace. For the future of the world, however, it does not matter which of the two triumphs over the other, the Catholic or the Protestant. But it does matter whether Aryan humanity survives or perishes. And yet the two Christian denominations are not contending against the destroyer of Aryan humanity but are trying to destroy one another. Everybody who has the right kind of feeling for his country is solemnly bound, each within his own denomination, to see to it that he is not constantly talking about the Will of God merely from the lips but that in actual fact he fulfils the Will of God and does not allow God’s handiwork to be debased. For it was by the Will of God that men were made of a certain bodily shape, were given their natures and their faculties. Whoever destroys His work wages war against God’s Creation and God’s Will. Therefore everyone should endeavour, each in his own denomination of course, and should consider it as his first and most solemn duty to hinder any and everyone whose conduct tends, either by word or deed, to go outside his own religious body and pick a quarrel with those of another denomination. For, in view of the religious schism that exists in Germany, to attack the essential characteristics of one denomination must necessarily lead to a war of extermination between the two Christian denominations. Here there can be no comparison between our position and that of France, or Spain or Italy. In those three countries one may, for instance, make propaganda for the side that is fighting against ultramontanism without thereby incurring the danger of a national rift among the French, or Spanish or Italian people. In Germany, however, that cannot be so, for here the Protestants would also take part in such propaganda. And thus the defence which elsewhere only Catholics organize against clerical aggression in political matters would assume with us the character of a Protestant attack against Catholicism. What may be tolerated by the faithful in one denomination even when it seems unjust to them, will at once be indignantly rejected and opposed on a priori grounds if it should come from the militant leaders of another denomination. This is so true that even men who would be ready and willing to fight for the removal of manifest grievances within their own religious denomination will drop their own fight and turn their activities against the outsider the moment the abolition of such grievances is counselled or demanded by one who is not of the same faith. They consider it unjustified and inadmissible and incorrect for outsiders to meddle in matters which do not affect them at all. Such attempts are not excused even when they are inspired by a feeling for the supreme interests of the national community; because even in our day religious feelings still have deeper roots than all feeling for political and national expediency. That cannot be changed by setting one denomination against another in bitter conflict. It can be changed only if, through a spirit of mutual tolerance, the nation can be assured of a future the greatness of which will gradually operate as a conciliating factor in the sphere of religion also. I have no hesitation in saying that in those men who seek to-day to embroil the patriotic movement in religious quarrels I see worse enemies of my country than the international communists are. For the National Socialist Movement has set itself to the task of converting those communists. But anyone who goes outside the ranks of his own Movement and tends to turn it away from the fulfilment of its mission is acting in a manner that deserves the severest condemnation. He is acting as a champion of Jewish interests, whether consciously or unconsciously does not matter. For it is in the interests of the Jews to-day that the energies of the patriotic movement should be squandered in a religious conflict, because it is beginning to be dangerous for the Jews. I have purposely used the phrase about squandering the energies of the Movement, because nobody but some person who is entirely ignorant of history could imagine that this movement can solve a question which the greatest statesmen have tried for centuries to solve, and tried in vain. Anyhow the facts speak for themselves. The men who suddenly discovered, in 1924, that the highest mission of the patriotic movement was to fight ultramontanism, have not succeeded in smashing ultramontanism, but they succeeded in splitting the patriotic movement. I have to guard against the possibility of some immature brain arising in the patriotic movement which thinks that it can do what even a Bismarck failed to do. It will be always one of the first duties of those who are directing the National Socialist Movement to oppose unconditionally any attempt to place the National Socialist Movement at the service of such a conflict. And anybody who conducts a propaganda with that end in view must be expelled forthwith from its ranks. As a matter of fact we succeeded until the autumn of 1923 in keeping our movement away from such controversies. The most devoted Protestant could stand side by side with the most devoted Catholic in our ranks without having his conscience disturbed in the slightest as far as concerned his religious convictions. The bitter struggle which both waged in common against the wrecker of Aryan humanity taught them natural respect and esteem. And it was just in those years that our movement had to engage in a bitter strife with the Centre Party not for religious ends but for national, racial, political and economic ends. The success we then achieved showed that we were right, but it does not speak to-day in favour of those who thought they knew better. In recent years things have gone so far that patriotic circles, in god-forsaken blindness of their religious strife, could not recognize the folly of their conduct even from the fact that atheist Marxist newspapers advocated the cause of one religious denomination or the other, according as it suited Marxist interests, so as to create confusion through slogans and declarations which were often immeasurably stupid, now molesting the one party and again the other, and thus poking the fire to keep the blaze at its highest. But in the case of a people like the Germans, whose history has so often shown them capable of fighting for phantoms to the point of complete exhaustion, every war-cry is a mortal danger. By these slogans our people have often been drawn away from the real problems of their existence. While we were exhausting our energies in religious wars the others were acquiring their share of the world. And while the patriotic movement is debating with itself whether the ultramontane danger be greater than the Jewish, or vice versa, the Jew is destroying the racial basis of our existence and thereby annihilating our people. 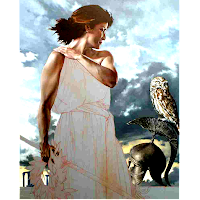 As far as regards that kind of ‘patriotic’ warrior, on behalf of the National Socialist Movement and therefore of the German people I pray with all my heart: "Lord, preserve us from such friends, and then we can easily deal with our enemies." The controversy over federation and unification, so cunningly propagandized by the Jews in 1919–1920 and onwards, forced National Socialism, which repudiated the quarrel, to take up a definite stand in relation to the essential problem concerned in it. Ought Germany to be a confederacy or a military State? What is the practical significance of these terms? To me it seems that the second question is more important than the first, because it is fundamental to the understanding of the whole problem and also because the answer to it may help to clear up confusion and therewith have a conciliating effect. What is a Confederacy ? By a Confederacy we mean a union of sovereign states which of their own free will and in virtue of their sovereignty come together and create a collective unit, ceding to that unit as much of their own sovereign rights as will render the existence of the union possible and will guarantee it. But the theoretical formula is not wholly put into practice by any confederacy that exists to-day. And least of all by the American Union, where it is impossible to speak of original sovereignty in regard to the majority of the states. Many of them were not included in the federal complex until long after it had been established. The states that make up the American Union are mostly in the nature of territories, more or less, formed for technical administrative purposes, their boundaries having in many cases been fixed in the mapping office. Originally these states did not and could not possess sovereign rights of their own. Because it was the Union that created most of the so-called states. Therefore the sovereign rights, often very comprehensive, which were left, or rather granted, to the various territories correspond not only to the whole character of the Confederation but also to its vast space, which is equivalent to the size of a Continent. Consequently, in speaking of the United States of America one must not consider them as sovereign states but as enjoying rights or, better perhaps, autarchic powers, granted to them and guaranteed by the Constitution. Nor does our definition adequately express the condition of affairs in Germany. It is true that in Germany the individual states existed as states before the Reich and that the Reich was formed from them. 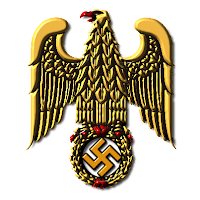 The Reich, however, was not formed by the voluntary and equal co-operation of the individual states, but rather because the state of Prussia gradually acquired a position of hegemony over the others. The difference in the territorial area alone between the German states prevents any comparison with the American Union. The great difference in territorial area between the very small German states that then existed and the larger, or even still more the largest, demonstrates the inequality of their achievements and shows that they could not take an equal part in founding and shaping the federal Empire. In the case of most of these individual states it cannot be maintained that they ever enjoyed real sovereignty; and the term ‘State Sovereignty’ was really nothing more than an administrative formula which had no inner meaning. As a matter of fact, not only developments in the past but also in our own time wiped out several of these so-called ‘Sovereign States’ and thus proved in the most definite way how frail these ‘sovereign’ state formations were. I cannot deal here with the historical question of how these individual states came to be established, but I must call attention to the fact that hardly in any case did their frontiers coincide with ethical frontiers of the inhabitants. They were purely political phenomena which for the most part emerged during the sad epoch when the German Empire was in a state of exhaustion and was dismembered. They represented both cause and effect in the process of exhaustion and partition of our fatherland. The Constitution of the old Reich took all this into account, at least up to a certain degree, in so far as the individual states were not accorded equal representation in the Reichstag, but a representation proportionate to their respective areas, their actual importance and the role which they played in the formation of the Reich. The sovereign rights which the individual states renounced in order to form the Reich were voluntarily ceded only to a very small degree. For the most part they had no practical existence or they were simply taken by Prussia under the pressure of her preponderant power. The principle followed by Bismarck was not to give the Reich what he could take from the individual states but to demand from the individual states only what was absolutely necessary for the Reich. A moderate and wise policy. On the one side Bismarck showed the greatest regard for customs and traditions; on the other side his policy secured for the new Reich from its foundation onwards a great measure of love and willing co-operation. But it would be a fundamental error to attribute Bismarck’s decision to any conviction on his part that the Reich was thus acquiring all the rights of sovereignty which would suflice for all time. That was far from Bismarck’s idea. On the contrary, he wished to leave over for the future what it would be difficult to carry through at the moment and might not have been readily agreed to by the individual states. He trusted to the levelling effect of time and to the pressure exercised by the process of evolution, the steady action of which appeared more effective than an attempt to break the resistance which the individual states offered at the moment. By this policy he showed his great ability in the art of statesmanship. And, as a matter of fact, the sovereignty of the Reich has continually increased at the cost of the sovereignty of the individual states. The passing of time has achieved what Bismarck hoped it would. The German collapse and the abolition of the monarchical form of government necessarily hastened this development. The German federal states, which had not been grounded on ethnical foundations but arose rather out of political conditions, were bound to lose their importance the moment the monarchical form of government and the dynasties connected with it were abolished, for it was to the spirit inherent in these that the individual states owned their political origin and development. Thus deprived of their internal raison d’être, they renounced all right to survival and were induced by purely practical reasons to fuse with their neighbours or else they joined the more powerful states out of their own free will. That proved in a striking manner how extraordinarily frail was the actual sovereignty these small phantom states enjoyed, and it proved too how lightly they were estimated by their own citizens. Though the abolition of the monarchical regime and its representatives had dealt a hard blow to the federal character of the Reich, still more destructive, from the federal point of view, was the acceptance of the obligations that resulted from the ‘peace’ treaty. It was only natural and logical that the federal states should lose all sovereign control over the finances the moment the Reich, in consequence of a lost war, was subjected to financial obligations which could never be guaranteed through separate treaties with the individual states. The subsequent steps which led the Reich to take over the posts and railways were an enforced advance in the process of enslaving our people, a process which the peace treaties gradually developed. The Reich was forced to secure possession of resources which had to be constantly increased in order to satisfy the demands made by further extortions. The form in which the powers of the Reich were thus extended to embrace the federal states was often ridiculously stupid, but in itself the procedure was logical and natural. The blame for it must be laid at the door of these men and those parties that failed in the hour of need to concentrate all their energies in an effort to bring the war to a victorious issue. The guilt lies on those parties which, especially in Bavaria, catered for their own egotistic interests during the war and refused to the Reich what the Reich had to requisition to a tenfold greater measure when the war was lost. The retribution of History! Rarely has the vengeance of Heaven followed so closely on the crime as it did in this case. Those same parties which, a few years previously, placed the interests of their own states – especially in Bavaria – before those of the Reich had now to look on passively while the pressure of events forced the Reich, in its own interests, to abolish the existence of the individual states. They were the victims of their own defaults. It was an unparalleled example of hypocrisy to raise the cry of lamentation over the loss which the federal states suffered in being deprived of their sovereign rights. This cry was raised before the electorate, for it is only to the electorate that our contemporary parties address themselves. But these parties, without exception, outbid one another in accepting a policy of fulfilment which, by the sheer force of circumstances and in its ultimate consequences, could not but lead to a profound alteration in the internal structure of the Reich. Bismarck’s Reich was free and unhampered by any obligations towards the outside world. Bismarck’s Reich never had to shoulder such heavy and entirely unproductive obligations as those to which Germany was subjected under the Dawes Plan. Also in domestic affairs Bismarck’s Reich was able to limit its powers to a few matters that were absolutely necessary for its existence. Therefore it could dispense with the necessity of a financial control over these states and could live from their contributions. On the other side the relatively small financial tribute which the federal states had to pay to the Reich induced them to welcome its existence. But it is untrue and unjust to state now, as certain propagandists do, that the federal states are displeased with the Reich merely because of their financial subjection to it. No, that is not how the matter really stands. The lack of sympathy for the political idea embodied in the Reich is not due to the loss of sovereign rights on the part of the individual states. It is much more the result of the deplorable fashion in which the present régime cares for the interests of the German people. Despite all the celebrations in honour of the national flag and the Constitution, every section of the German people feels that the present Reich is not in accordance with its heart’s desire. And the Law for the Protection of the Republic may prevent outrages against republican institutions, but it will not gain the love of one single German. In its constant anxiety to protect itself against its own citizens by means of laws and sentences of imprisonment, the Republic has aroused sharp and humiliating criticism of all republican institutions as such. For another reason also it is untrue to say, as certain parties affirm to-day, that the Reich has ceased to be popular on account of its overbearing conduct in regard to certain sovereign rights which the individual states had heretofore enjoyed. Supposing the Reich had not extended its authority over the individual states, there is no reason to believe that it would find more favour among those states if the general obligations remained so heavy as they now are. 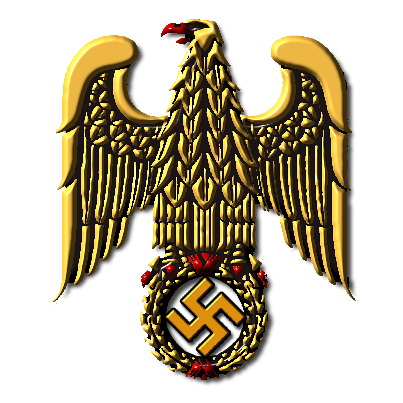 On the contrary, if the individual states had to pay their respective shares of the highly increased tribute which the Reich has to meet to-day in order to fulfil the provisions of the Versailles Dictate, the hostility towards the Reich would be infinitely greater. For then not only would it prove difficult to collect the respective contributions due to the Reich from the federal states, but coercive methods would have to be employed in making the collections. The Republic stands on the footing of the peace treaties and has neither the courage nor the intention to break them. That being so, it must observe the obligations which the peace treaties have imposed on it. The responsibility for this situation is to be attributed solely to those parties who preach unceasingly to the patient electoral masses on the necessity of maintaining the autonomy of the federal states, while at the same time they champion and demand of the Reich a policy which must necessarily lead to the suppression of even the very last of those so-called ‘sovereign’ rights. I say necessarily because the present Reich has no other possible means of bearing the burden of charges which an insane domestic and foreign policy has laid on it. Here still another wedge is placed on the former, to drive it in still deeper. Every new debt which the Reich contracts, through the criminal way in which the interests of Germany are represented vis-à-vis foreign countries, necessitates a new and stronger blow which drives the under wedges still deeper, That blow demands another step in the progressive abolition of the sovereign rights of the individual states, so as not to allow the germs of opposition to rise up into activity or even to exist. The chief characteristic difference between the policy of the present Reich and that of former times lies in this: The old Reich gave freedom to its people at home and showed itself strong towards the outside world, whereas the Republic shows itself weak towards the stranger and oppresses its own citizens at home. In both cases one attitude determines the other. A vigorous national State does not need to make many laws for the interior, because of the affection and attachment of its citizens. The international servile State can live only by coercing its citizens to render it the services it demands. And it is a piece of impudent falsehood for the present regime to speak of ‘Free citizens’. Only the old Germany could speak in that manner. The present Republic is a colony of slaves at the service of the stranger. At best it has subjects, but not citizens. Hence it does not possess a national flag but only a trade mark, introduced and protected by official decree and legislative measures. 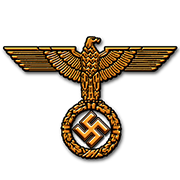 This symbol, which is the Gessler’s cap of German Democracy, will always remain alien to the spirit of our people. On its side, the Republic having no sense of tradition or respect for past greatness, dragged the symbol of the past in the mud, but it will be surprised one day to discover how superficial is the devotion of its citizens to its own symbol. The Republic has given to itself the character of an intermezzo in German history. And so this State is bound constantly to restrict more and more the sovereign rights of the individual states, not only for general reasons of a financial character but also on principle. For by enforcing a policy of financial blackmail, to squeeze the last ounce of substance out of its people, it is forced also to take their last rights away from them, lest the general discontent may one day flame up into open rebellion. We, National Socialists, would reverse this formula and would adopt the following axiom: A strong national Reich which recognizes and protects to the largest possible measure the rights of its citizens both within and outside its frontiers can allow freedom to reign at home without trembling for the safety of the State. On the other hand, a strong national Government can intervene to a considerable degree in the liberties of the individual subject as well as in the liberties of the constituent states without thereby weakening the ideal of the Reich; and it can do this while recognizing its responsibility for the ideal of the Reich, because in these particular acts and measures the individual citizen recognizes a means of promoting the prestige of the nation as a whole. Of course, every State in the world has to face the question of unification in its internal organization. And Germany is no exception in this matter. Nowadays it is absurd to speak of ‘statal sovereignty’ for the constituent states of the Reich, because that has already become impossible on account of the ridiculously small size of so many of these states. In the sphere of commerce as well as that of administration the importance of the individual states has been steadily decreasing. Modern means of communication and mechanical progress have been increasingly restricting distance and space. What was once a State is to-day only a province and the territory covered by a modern State had once the importance of a continent. The purely technical difficulty of administering a State like Germany is not greater than that of governing a province like Brandenburg a hundred years ago. And to-day it is easier to cover the distance from Munich to Berlin than it was to cover the distance from Munich to Starnberg a hundred years ago. In view of the modern means of transport, the whole territory of the Reich to-day is smaller than that of certain German federal states at the time of the Napoleonic wars. To close one’s eyes to the consequences of these facts means to live in the past. There always were, there are and always will be, men who do this. They may retard but they cannot stop the revolutions of history. We, National Socialists, must not allow the consequences of that truth to pass by us unnoticed. In these matters also we must not permit ourselves to be misled by the phrases of our so-called national bourgeois parties. I say ‘phrases’, because these same parodies do not seriously believe that it is possible for them to carry out their proposals, and because they themselves are the chief culprits and also the accomplices responsible for the present state of affairs. Especially in Bavaria, the demands for a halt in the process of centralization can be no more than a party move behind which there is no serious idea. If these parties ever had to pass from the realm of phrase-making into that of practical deeds they would present a sorry spectacle. Every so-called ‘Robbery of Sovereign Rights’ from Bavaria by the Reich has met with no practical resistance, except for some fatuous barking by way of protest. Indeed, when anyone seriously opposed the madness that was shown in carrying out this system of centralization he was told by those same parties that he understood nothing of the nature and needs of the State to-day. They slandered him and pronounced him anathema and persecuted him until he was either shut up in prison or illegally deprived of the right of public speech. In the light of these facts our followers should become all the more convinced of the profound hypocrisy which characterizes these so-called federalist circles. To a certain extent they use the federalist doctrine just as they use the name of religion, merely as a means of promoting their own base party interests. A certain unification, especially in the field of transport., appears logical. But we, National Socialists, feel it our duty to oppose with all our might such a development in the modern State, especially when the measures proposed are solely for the purpose of screening a disastrous foreign policy and making it possible. And just because the present Reich has threatened to take over the railways, the posts, the finances, etc., not from the high standpoint of a national policy, but in order to have in its hands the means and pledges for an unlimited policy of fulfilment – for that reason we, National Socialists, must take every step that seems suitable to obstruct and, if possible, definitely to prevent such a policy. We must fight against the present system of amalgamating institutions that are vitally important for the existence of our people, because this system is being adopted solely to facilitate the payment of milliards and the transference of pledges to the stranger, under the post-War provisions which our politicians have accepted. For these reasons also the National Socialist Movement has to take up a stand against such tendencies. Moreover, we must oppose such centralization because in domestic affairs it helps to reinforce a system of government which in all its manifestations has brought the greatest misfortunes on the German nation. The present Jewish-Democratic Reich, which has become a veritable curse for the German people, is seeking to negative the force of the criticism offered by all the federal states which have not yet become imbued with the spirit of the age, and is trying to carry out this policy by crushing them to the point of annihilation. In face of this we National Socialists must try to ground the opposition of the individual states on such a basis that it will be able to operate with a good promise of success. We must do this by transforming the struggle against centralization into something that will be an expression of the higher interests of the German nation as such. Therefore, while the Bavarian Populist Party, acting from its own narrow and particularist standpoint, fights to maintain the ‘special rights’ of the Bavarian State, we ought to stand on quite a different ground in fighting for the same rights. Our grounds ought to be those of the higher national interests in opposition to the November Democracy. A still further reason for opposing a centralizing process of that kind arises from the certain conviction that in great part this so-called nationalization does not make for unification at all and still less for simplification. In many cases it is adopted simply as a means of removing from the sovereign control of the individual states certain institutions which they wish to place in the hands of the revolutionary parties. In German History favouritism has never been of so base a character as in the democratic republic. A great portion of this centralization to-day is the work of parties which once promised that they would open the way for the promotion of talent, meaning thereby that they would fill those posts and offices entirely with their own partisans. Since the foundation of the Republic the Jews especially have been obtaining positions in the economic institutions taken over by the Reich and also positions in the national administration, so that the one and the other have become preserves of Jewry. For tactical reasons, this last consideration obliges us to watch with the greatest attention every further attempt at centralization and fight it at each step. But in doing this our standpoint must always be that of a lofty national policy and never a pettifogging particularism. This last observation is necessary, lest an opinion might arise among our own followers that we do not accredit to the Reich the right of incorporating in itself a sovereignty which is superior to that of the constituent states. As regards this right we cannot and must not entertain the slightest doubt. Because for us the State is nothing but a form. Its substance, or content, is the essential thing. And that is the nation, the people. It is clear therefore that every other interest must be subordinated to the supreme interests of the nation. In particular we cannot accredit to any other state a sovereign power and sovereign rights within the confines of the nation and the Reich, which represents the nation. The absurdity which some federal states commit by maintaining ‘representations’ abroad and corresponding foreign ‘representations’ among themselves – that must cease and will cease. Until this happens we cannot be surprised if certain foreign countries are dubious about the political unity of the Reich and act accordingly. The absurdity of these ‘representations’ is all the greater because they do harm and do not bring the slightest advantage. If the interests of a German abroad cannot be protected by the ambassador of the Reich, much less can they be protected by the minister from some small federal state which appears ridiculous in the framework of the present world order. The real truth is that these small federal states are envisaged as points of attack for attempts at secession, which prospect is always pleasing to a certain foreign State. We, National Socialists, must not allow some noble caste which has become effete with age to occupy an ambassadorial post abroad, with the idea that by engrafting one of its withered branches in new soil the green leaves may sprout again. Already in the time of the old Reich our diplomatic representatives abroad were such a sorry lot that a further trial of that experience would be out of the question. It is certain that in the future the importance of the individual states will be transferred to the sphere of our cultural policy. The monarch who did most to make Bavaria an important centre was not an obstinate particularist with anti-German tendencies, but Ludwig I who was as much devoted to the ideal of German greatness as he was to that of art. His first consideration was to use the powers of the state to develop the cultural position of Bavaria and not its political power. And in doing this he produced better and more durable results than if he had followed any other line of conduct. Up to this time Munich was a provincial residence town of only small importance, but he transformed it into the metropolis of German art and by doing so he made it an intellectual centre which even to-day holds Franconia to Bavaria, though the Franconians are of quite a different temperament. If Munich had remained as it had been earlier, what has happened in Saxony would have been repeated in Bavaria, with the diAerence that Leipzig and Bavarian Nürnberg would have become, not Bavarian but Franconian cities. It was not the cry of "Down with Prussia" that made Munich great. What made this a city of importance was the King who wished to present it to the German nation as an artistic jewel that would have to be seen and appreciated, and so it has turned out in fact. Therein lies a lesson for the future. The importance of the individual states in the future will no longer lie in their political or statal power. I look to them rather as important ethnical and cultural centres. But even in this respect time will do its levelling work. Modern travelling facilities shuffle people among one another in such a way that tribal boundaries will fade out and even the cultural picture will gradually become more of a uniform pattern. The army must definitely be kept clear of the influence of the individual states. 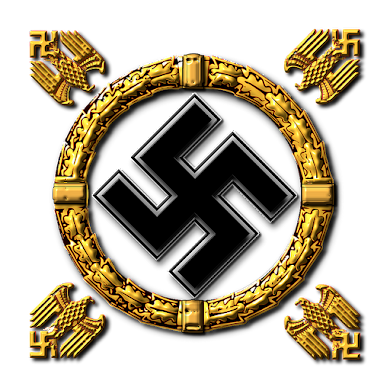 The coming National Socialist State must not fall back into the error of the past by imposing on the army a task which is not within its sphere and never should have been assigned to it. The German army does not exist for the purpose of being a school in which tribal particularisms are to be cultivated and preserved, but rather as a school for teaching all the Germans to understand and adapt their habits to one another. Whatever tends to have a separating influence in the life of the nation ought to be made a unifying influence in the army. The army must raise the German boy above the narrow horizon of his own little native province and set him within the broad picture of the nation. The youth must learn to know, not the confines of his own region but those of the fatherland, because it is the latter that he will have to defend one day. It is therefore absurd to have the German youth do his military training in his own native region. During that period he ought to learn to know Germany. This is all the more important to-day, since young Germans no longer travel on their own account as they once used to do and thus enlarge their horizon. In view of this, is it not absurd to leave the young Bavarian recruit at Munich, the recruit from Baden at Baden itself and the Württemberger at Stuttgart and so on? And would it not be more reasonable to show the Rhine and the North Sea to the Bavarian, the Alps to the native of Hamburg and the mountains of Central Germany to the boy from East Prussia? The character proper to each region ought to be maintained in the troops but not in the training garrisons. We may disapprove of every attempt at unification but not that of unifying the army. On the contrary, even though we should wish to welcome no other kind of unification, this must be greeted with joy. In view of the size of the present army of the Reich, it would be absurd to maintain the federal divisions among the troops. Moreover, in the unification of the German army which has actually been effected we see a fact which we must not renounce but restore in the future national army. Finally a new and triumphant idea should burst every chain which tends to paralyse its efforts to push forward. National Socialism must claim the right to impose its principles on the whole German nation, without regard to what were hitherto the confines of federal states. And we must educate the German nation in our ideas and principles. As the Churches do not feel themselves bound or limited by political confines, so the National Socialist Idea cannot feel itself limited to the territories of the individual federal states that belong to our Fatherland. The National Socialist doctrine is not handmaid to the political interests of the single federal states. One day it must become teacher to the whole German nation. It must determine the life of the whole people and shape that life anew. For this reason we must imperatively demand the right to overstep boundaries that have been traced by a political development which we repudiate. The more completely our ideas triumph, the more liberty can we concede in particular affairs to our citizens at home.